Wearing a yellow slicker and boots on a rainy day, a child carries an open red umbrella down a city street. On each page, a sentence lightly personifies the umbrella: “It likes to spread its arms wide. / It loves to give shelter. / It loves to gather people in.” More and more folks join the child under its rapidly expanding canopy, until, in the last illustration, the umbrella arches over a park filled with animals and culturally diverse, differently abled people, all enjoying themselves and their surroundings. The appealing watercolor, gouache, and pencil illustrations work beautifully with the text to tell the story. In contrast to the gray skies, the red umbrella stands out visually, creating a warm, cheerful space for those beneath it. The main attraction of this expansive picture book is neither the plot nor the concept, but the upwelling of a boundlessly inclusive spirit reminiscent of Leodhas and Hogrogian’s Caldecott-winning Always Room for One More (1965). Well designed for classroom read-aloud sessions, this open-ended picture book creates a natural springboard for discussion. 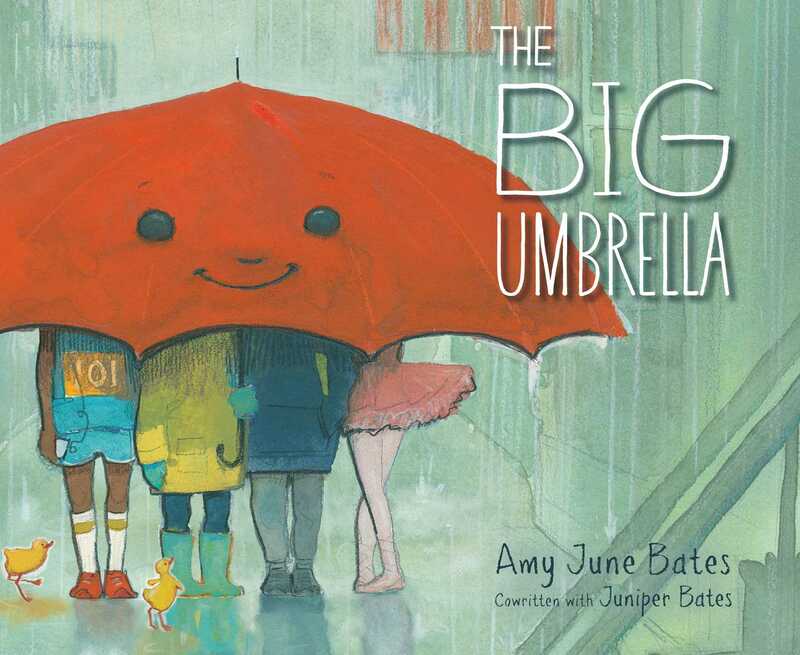 This sweet extended metaphor uses an umbrella to demonstrate how kindness and inclusion work. The big umbrella waits by the door with a smile. “It is a big, friendly umbrella. It likes to help.” It’s a rainy day and help is welcome, so the umbrella, once opened, provides shelter to all comers. First to its owner, and then to a ballerina, a dog, a skater, a monster…there is no limit to how many can fit under its widespread arms. “Some people worry that there won’t be enough room under the big umbrella. But the amazing thing is…there is.” Bates’s signature sketchy watercolors begin the story on the endpapers with a downpour and heavy, wet clouds. The muted colors of the rainy cityscape give contrast to the smiling red umbrella and the folks it is protecting. Each page is lighter than the one before until the sun is out, and a final spread opens to show just how much room there is. 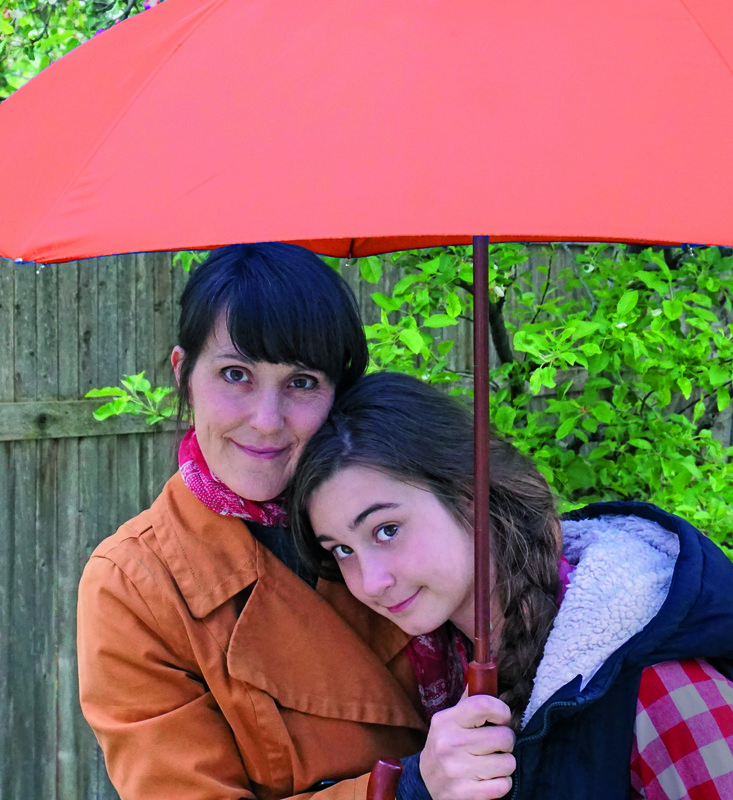 Bates and her young daughter thought up the idea for this story during a rain storm. The message is direct but not didactic, useful in discussion about classroom and family behaviors, community-building and kindness in general, not to mention helpful for discussion about the current political climate. VERDICT A lovely addition to any library collection, for classroom use or for sharing at home.